The Port of San Diego turned on its $4.25 million shore power station for the first time today at the 10th Avenue Marine Terminal. The electrical system allows ships to plug in to avoid running diesel generators while docked. The result, according to port officials, should be cleaner air for residents of Barrio Logan. 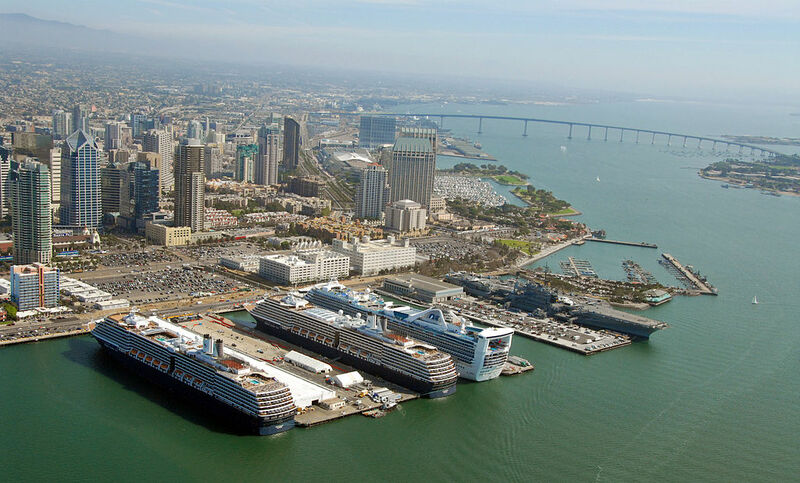 The California Air Resources Board has required ports to install the shore power systems for refrigerated vessels and cruise ships. The Port of San Diego says it plans to add a second power station at the 10th Avenue Marine Terminal. The Dole Ecuador was the first vessel to plug into the new system. The 96-acre facility is used by ships importing produce to the western U.S. San Diego port officials say the Dole Fresh Fruit Co. imports 185 million bananas monthly. Last year, the 10th Avenue Marine Terminal and National City Marine Terminal, which takes automobile imports, received 475 ships between them, according to the port. There are no current plans to add a shore power system at the National City facility since the ships that dock there don’t fall under the state air board’s guidelines, according to the port.